Hamburg, NY (April 8, 2019) – At an unspecified time on Sunday, April 7th, police were summoned to the scene of a serious rollover crash in which a vehicle had flipped several times throughout the course of an accident. The incident was reported to have occurred along Route 5, according to police. Local dispatchers sent paramedics along with law enforcement to the scene of the crash to render aid to any injured parties. Upon the arrival of first responders, the driver of the vehicle that rolled through the eastbound lane was immediately transported to Erie County Medical Center via ambulance. The current condition of that victim has not been released. At this time, there has been no word concerning a possible cause of this accident or how many parties may have been involved. The incident is actively under thorough investigation, according to authorities, and no further information has been provided. Before anything else, we would first like to extend our deepest sympathies to the injured victim, as we maintain hope for their full recovery. Following a New York car accident, it is important to understand that, as a victim, you may likely have significant rights moving forward. At Hach & Rose, our New York accident attorneys have devoted their lives to helping victims as we hold negligent drivers and other entities, such as manufacturers, accountable for the damage that they cause. We recognize the physical, emotional, and financial burdens that commonly arise in the aftermath of a sudden accident, and we are here for you 24/7 to answer any questions you may have. 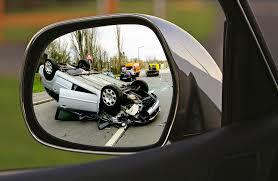 If you have been hurt in a motor vehicle accident in New York, please do not hesitate to call 212-779-0057 today.